Ouch – I’m sore. 2 days after the marathon and just about everything from my ribs down hurts. If this isn’t a reminder to take a break from running marathons, I don’t know what is. (I’ve already said I’m taking at least 2017 off marathons). Today I have very sore arches, ankles, calves, shins, quads, adductors, abductors, lower back, sides, shoulders. So much so it makes it hard to steady myself when I get up (and walk) lol – I feel like I’m 95, using my arms to help me up and down lol. I’m not sure the ibuprofen is working, but it must be. Someone asked me the other day how many marathons I’d done, and I’d kind of lost count – so here they are above, all 10 of them, in date order. 5 events, 5 runs. (Plus 4 runs longer than a marathon – ultra distance). 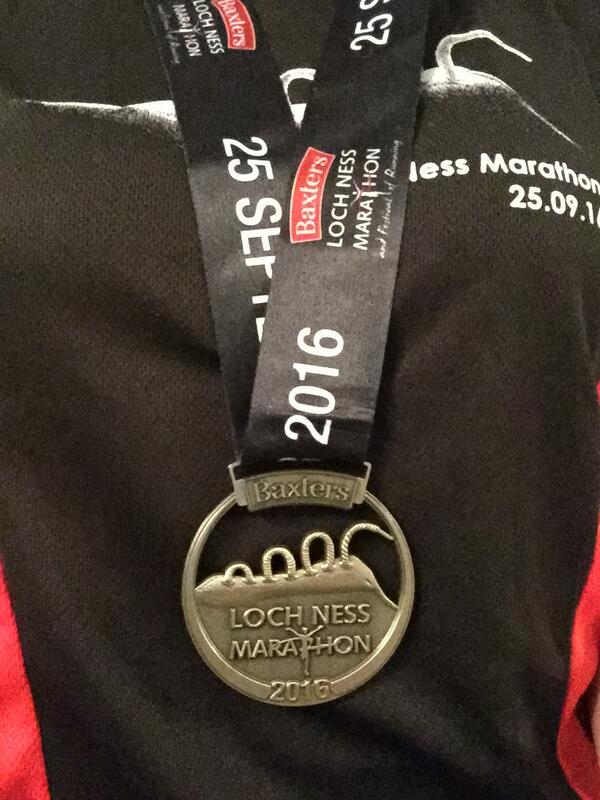 I’ll do some analysis of them later, but despite today’s DOMS, this last one, the Loch Ness Marathon with spectacular rainbows, max Garmin Training Effect (effort), amazing scenery, cramp, friends and emotions, ranks very highly in terms of enjoyment. Maybe 2nd or 3rd. Today I had my most recent challenge – getting up out of bed – these stairs in my house. 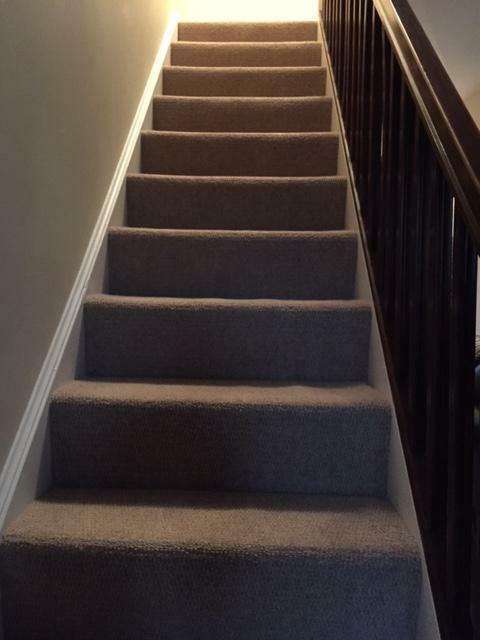 When turning over in bed was a challenge, these 12 steps in my house became my Everest. (I’m not embarrassed to say I ended up sitting on my bum and pulling myself down them, and I’m not going back up there until tonight. Lol). If you see me in work today you have permission to laugh at me, as long as you ask to look at and oooo and ahhh at my medal. Hopefully the walk to work will do me good.